Kirsty has been one of my favourite people to follow on twitter for a while and I’m delighted that she’s finally started her own beauty blog. I don’t know a huge amount about her but she’s got a wonderfully potty mouth, has spermy eyebrows and gets regularly impregnated on the Jubilee line (her words, honest). Check out her newest baby at www.blushnsuch.com. 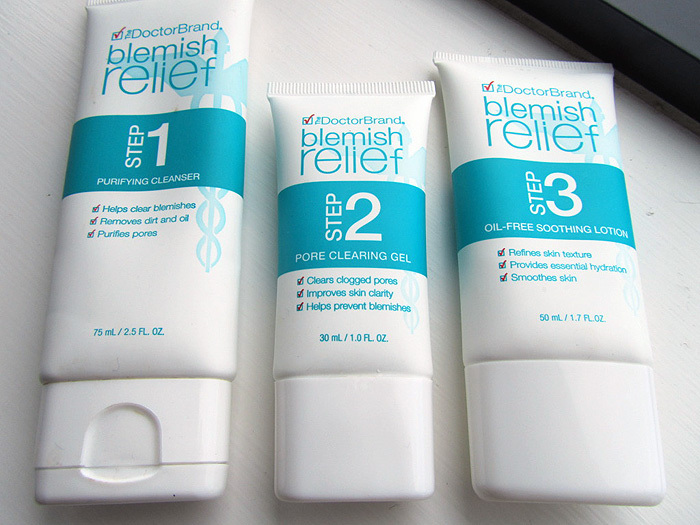 Today, she’s sharing her wisdom on how to combat oily skin. Oil. I put it on my cuticles, I have no qualms with heating it until it spits and crackles and makes my chips taste delicious and I always slather my hair in it before bedtime to keep it as glossy as can be. It has its uses, definitely, and I love it when it’s anywhere but my face. ANYWHERE but the face. For as long as I can remember I’ve had a shiny t-zone which is as irritating as it is persistent. I get all the lovely spots and enormous pores which come with having combination skin and a bit of dehydration thrown in for good measure (there is no God) – all of which serve to create a seriously fussy canvas for make-up application. 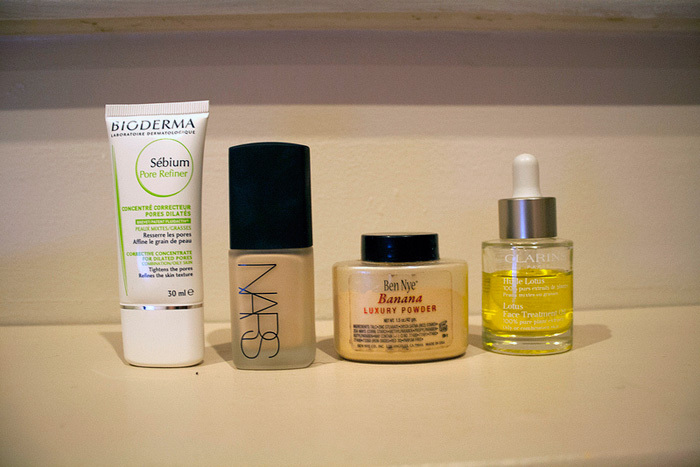 Luckily, I’ve uncovered a few things which help to balance my skin over the past few years. The products that I’ve listed below are all absolute essentials in my eyes and I wholeheartedly recommend them to anyone who has ever applied a full face of make-up in the morning only to have it sliding all over your mush like a well-oiled tubby kid on a water park slide by the time you get to work. Enjoy. I only received this in the post a week ago and it’s already one of the products I love the most. It’s a milky-coloured gel which I use as a primer to mattify my skin and also smooth over pores. You know how your make-up can look kind of melted on warmer days (or just any old day if you’re as oily as I am)? Well, this stops it. I only need to powder twice in a 12-hour period when I use this stuff, which is nothing short of a miracle. And Lisa Eldridge uses it in her professional kit too. Double joy. Again, a fairly recent purchase. Again, I can’t imagine myself without it. 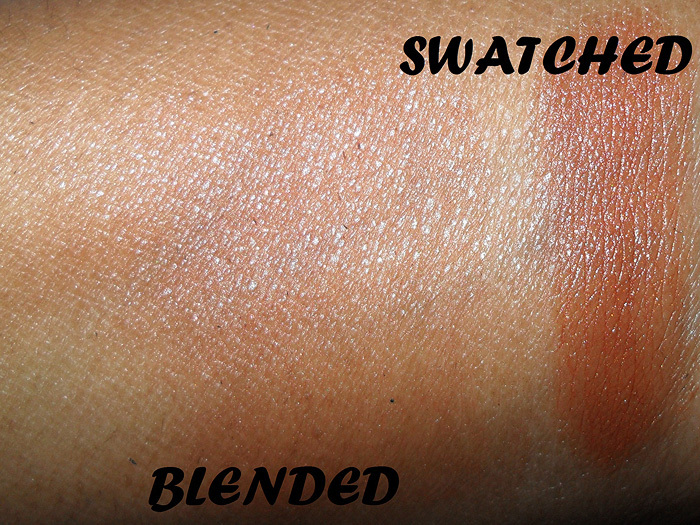 It looks awful when applied with a brush and just as bad when a BeautyBlender is used, in my opinion. To get the best out of this you’re going to have to get right on in there with your hands. I apply it bit-by-bit, starting on my nose, by slowly massaging it into my skin and blending it outwards until it turns to nothing. This is the only foundation I own that allows me to skip powder and it keeps me matte for around six hours. Don’t let the word ‘sheer’ fool you into thinking this is a wimpy light coverage foundation, by the way. 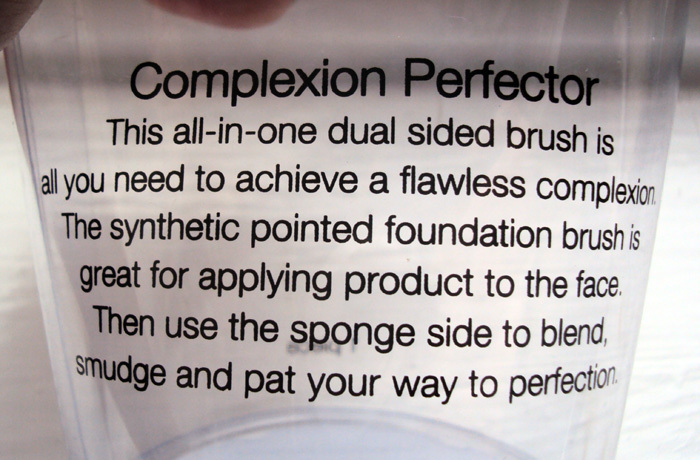 This is a solid medium coverage product that doesn’t whine when you try to build it up. If you’re on a budget, the best alternative to this is Bourjois Healthy Mix foundation. 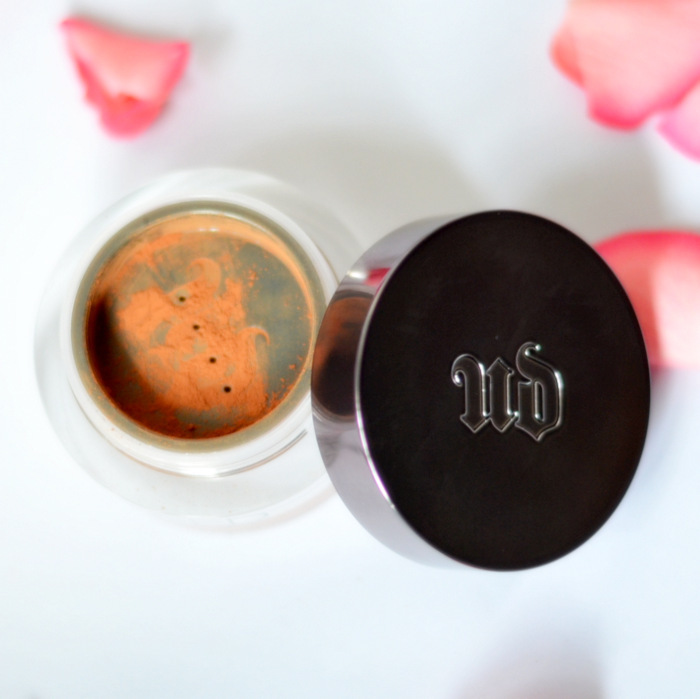 This powder is an absolute bargain. I paid £5 for 42g of product which is only just halfway gone after eight months of daily use *swoons*. It comes in several different shades but my MAC NC20/ Bobbi Brown Sand-toned skin likes the Banana powder best. It’s yellow-toned, finely-milled and, most importantly, it’s not going anywhere. The packaging is a bit finickity and impractical (I pour some out into a Muji pot, then use it) but the value and quality of the product really speaks for itself. I have powders worth four times the amount that succumb to The Oilies within the hour – this stuff keeps me going for at least five. Nuff said. I know what you’re thinking. Oil. The very thing you’re trying to keep away from your mush, and here I am pleading with you to put some right back onto it. But of all of the skincare I have purchased in my life, this has been the biggest game changer. After a thorough double cleanse every night, I mix some of this with whatever toner I’m using at the time and gently pat it onto my face. I wake up to plump, bright skin every time. 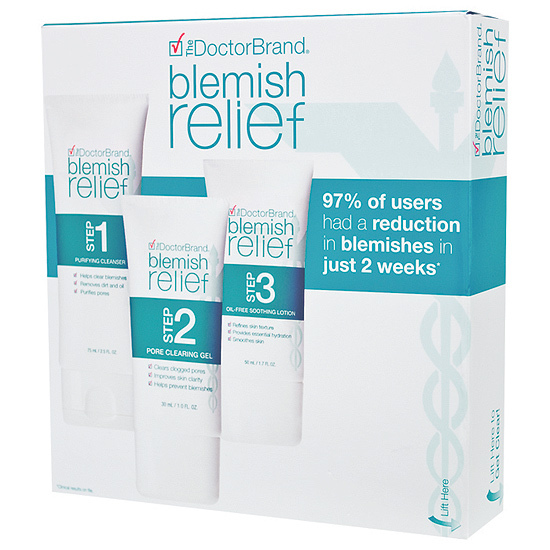 This product has really helped the dehydrated patches on my cheeks without upsetting my oily, clogged areas and it has definitely helped my skin to chill out on the oil production front. The dropper bottle also makes me feel a bit like a scientist, which is also somehow a massive bonus. Clarins, in their eternal wisdom, also sell Blue Orchid oil for dehydrated skin and Santal oil for dry/ extra dry skin, so no one need be left out. Excellent. What are your favourite products to keep The Oilies at bay? I’m delighted to introduce Abby from Un-observed to the blog. 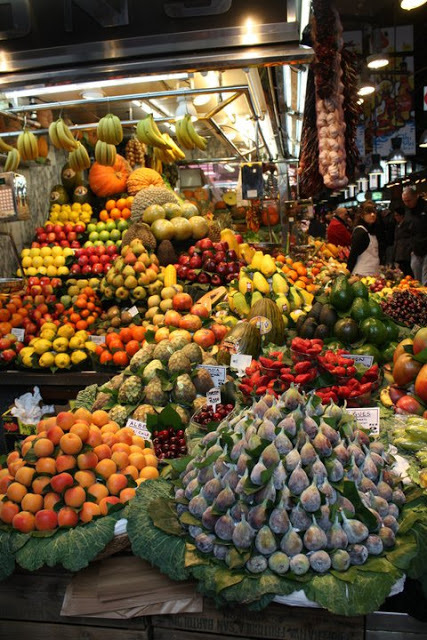 Abby blogs about beauty, fashion, lifestyle, and decor and is guest-posting for me today about keeping a selection of oft-used products easily to hand. Is this something you do? 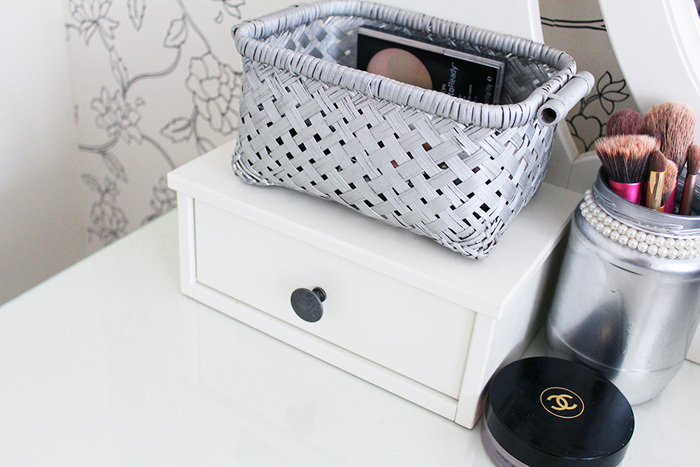 I tend to keep my most used products in a basket on my dressing table. Some days I don’t want to trawl through my drawers to find something I use regularly. The products I have on my dressing table often change though. And I like to add things to it that I have forgot about, just so things don’t go un-loved. 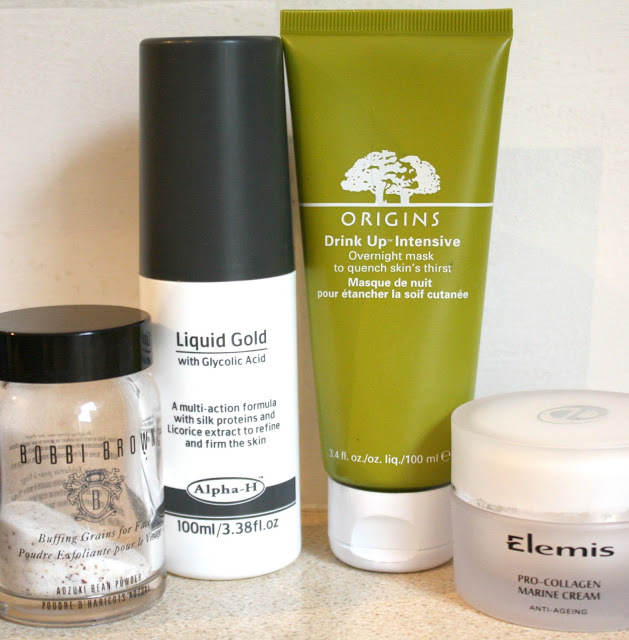 Here are a few of my favourite products which I currently have on my dressing table. First up is L’Oreal’s Color Appeal Eye Shadow in ‘Platinum Beige’. 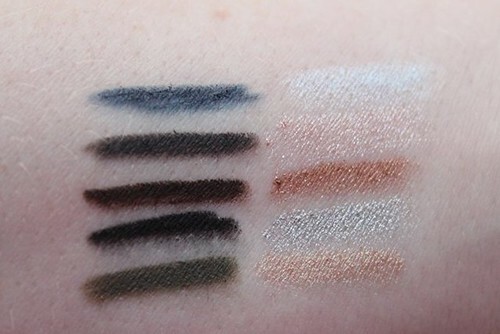 I never used to sway from my Naked and MAC palettes, but saw this shade while going on a mad swatching session in Boots. I love the shade on me and the texture Feels almost creamy. I’m currently using a sample of Clinique’s High Impact mascara. I have been through a few tubes of it in the past and love how it gives my lashes a real full effect without being clumpy. 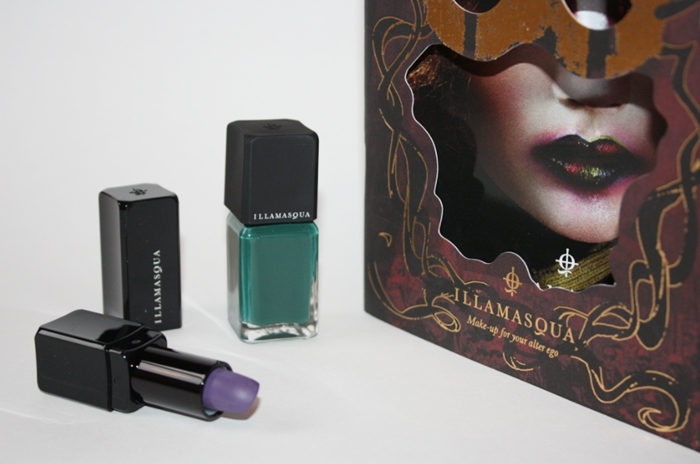 The formula is wet, which allows it to grip onto the tiniest of lashes but dries pretty quickly. It doesn’t transfer under my eyes (which is a major plus for me) and it’s so easy to remove. I must get round to purchasing a full size again. I am currently in love with Revlon’s fairly newly-released ‘Nearly naked’ foundation. I purchased it a few weeks ago and I still love it, if not more. I would say my skin is fairly clear. Nothing a good concealer can’t cover up, so I don’t like to use a heavy foundation. This one is perfect and with a little powder stays on throughout he day. 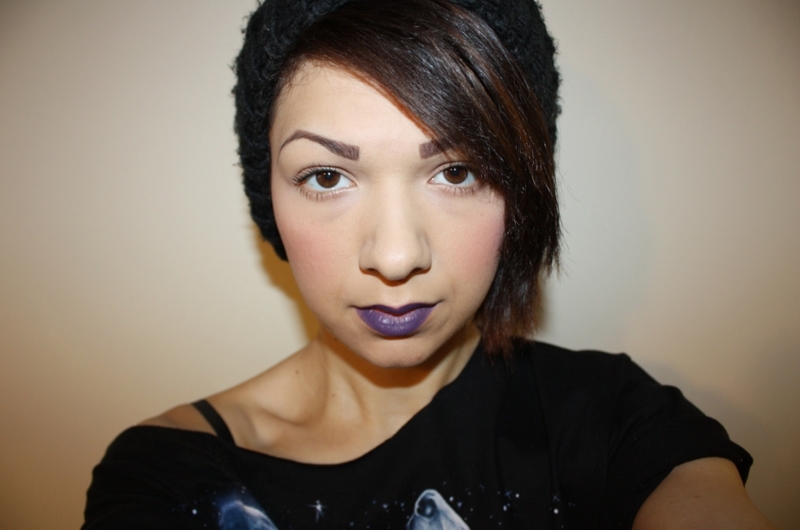 I like how it feels like I don’t have foundation on at all, as it is so light and blends in so easily. It’s definitely a natural finish and I tend to use my fingers to apply it. I purchased a magazine the other week which came with a free sample of Elemis’ ‘Softly Softly’ Daily moisturiser. My usual moisturiser is Oilatum’s daily repair and whenever I try another one out, I usually end up hating it. The Elemis moisturiser has such a different formulae than what I’m used to. As I have dry skin I usually look for a thick moisturiser, but this one is quite the opposite. It’s very light and smells strongly of Tea tree oil. I don’t like the scent, but luckily it doesn’t linger for long. 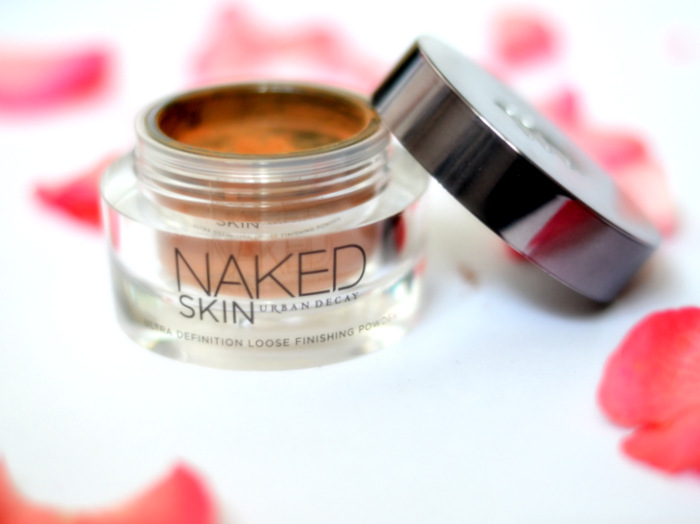 It sits perfectly under my foundation, and I have noticed a massive improvement with my skin already. 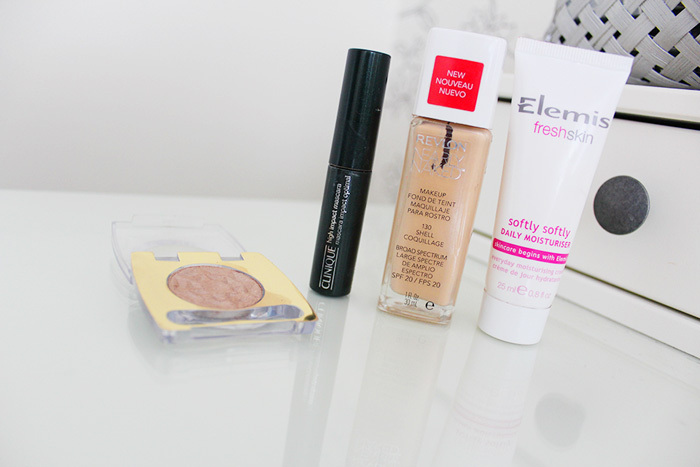 I like how I have a mix of new products I am trying, samples and old favourites. I find this the easiest way to not forget about a product, as well as trying something new. Does any one else store a selection of products away from their collection? 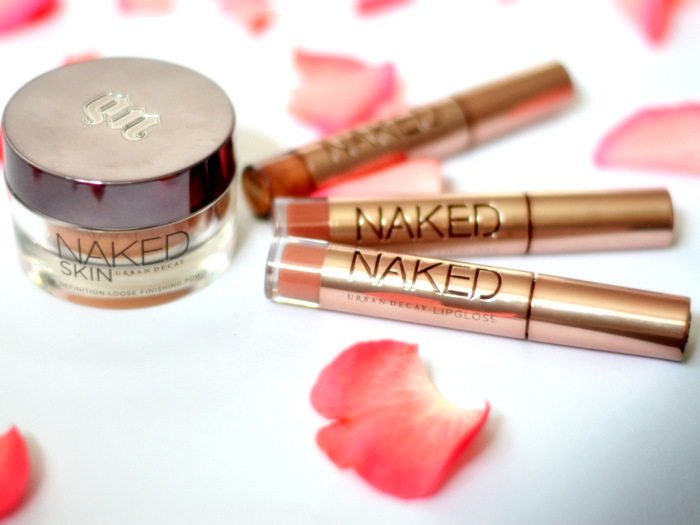 Hi, this is Marina here from Makeup4all guest blogging today, and I would like to tell you about five makeup products that I enjoy using right now. First of all, you need a good canvas to start with, so Rouge Bunny Rouge Tinted Moisturizer is my current choice. I have a dry skin type and it’s not that easy to find a foundation/BB Cream/Tinted Moisturizer/ you name it that doesn’t enhance any dry patches and looks natural on me. And this “foundation” does wonders! It gives a beautiful radiant finish which looks like a second skin. 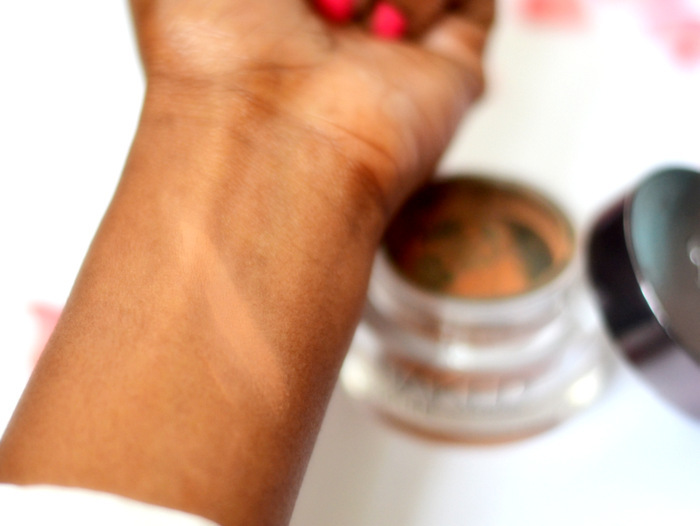 As it is a tinted moisturizer, you get a light coverage which is, luckily, enough for me. I use the shade Adansonia. Blush is probably my favourite makeup product and I can never have too many. 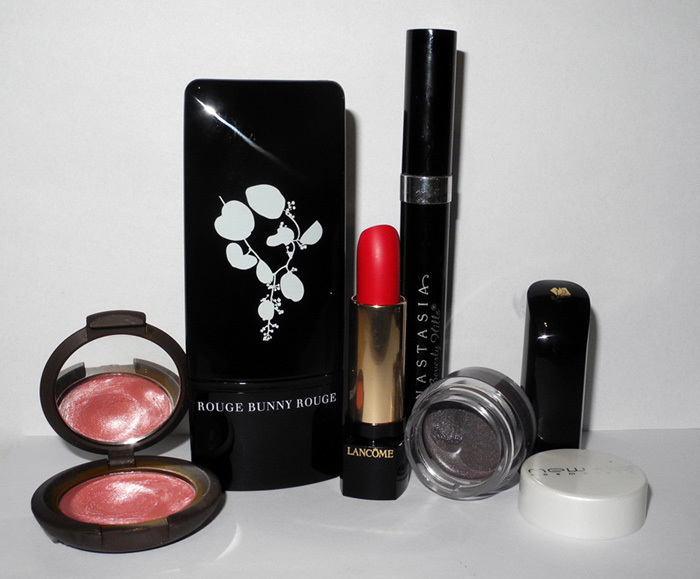 My current favourite is BECCA’s Creme Blush in Amaryllis. 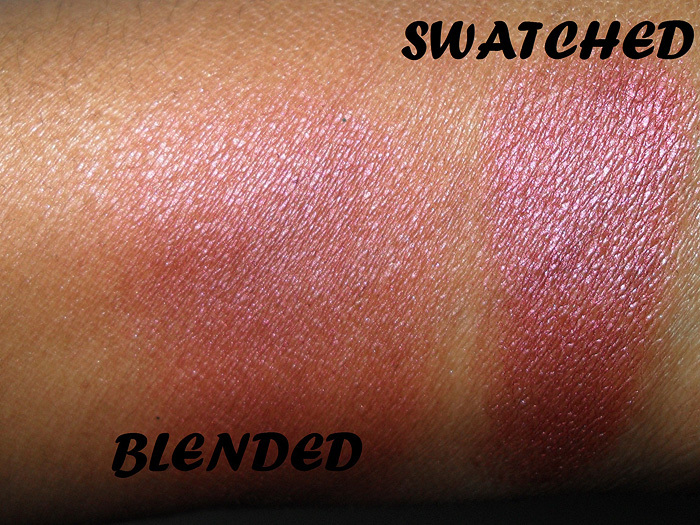 It gives a very natural looking flush, blends into the skin beautifully and stays on for the whole day. I just can’t get enough of it. I have recently hit the pan on this baby which, considering how many blushers I have, says a lot! I love wearing red lipstick from time to time and my current favourite has to be Lancome’s L’Absolu Rouge 160 Rouge Hypnose (It was a part of the brand’s Autumn collection but you can still get it, from Feel Unique for e.g). It goes on smoothly, gives an opaque coverage with one layer and doesn’t dry the lips out. The colour is to die for, plus I am very fond of the design, so chic! 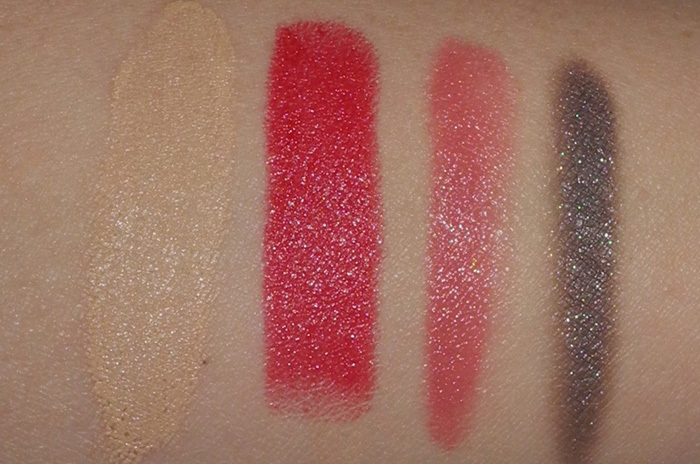 As for the eye products, I’ve been very impressed with New CID cream eye shadows, i-colour. 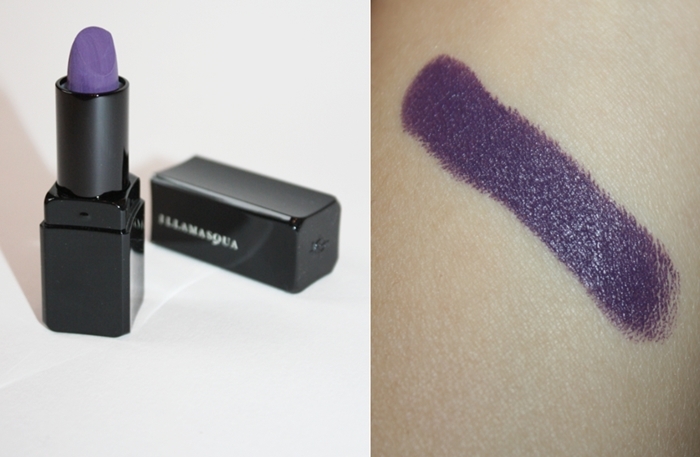 I have a shade called Chocolate Opal and it is a cool chocolate tone with silver shimmer. Light mousse texture allows you to get a very thin layer (or you can build it up if you wish), which doesn’t crease, smudge or fade for hours. The last thing that I have to mention is Anastasia’s Lash Genius. 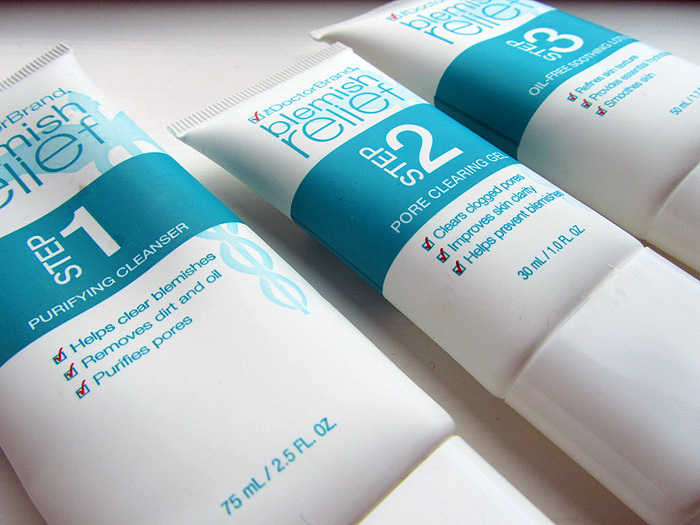 For me this is a must-have, I actually got a second tube already! 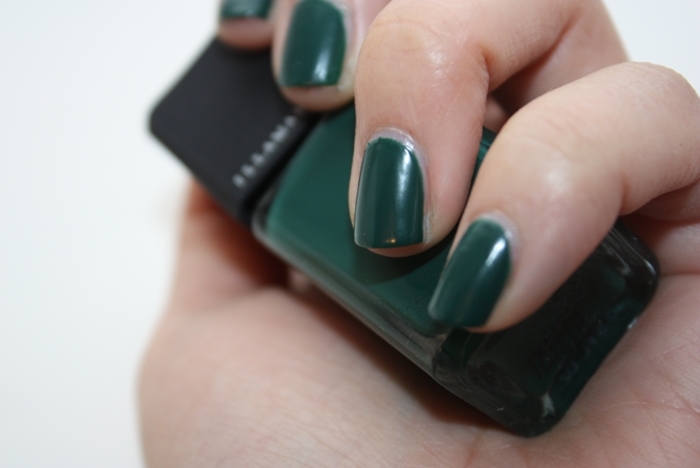 It is basically a top coat which makes your mascara waterproof. I have sensitive eyes that often water and this product is my saviour! The bonus is that it’s not hard to remove, as some waterproof mascaras. 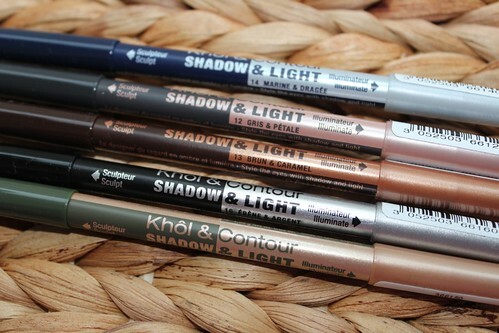 And what about your current top five makeup products? I have a tonne of make-up and even though I’m in possession of an unhealthy amount of it, it’s quite easy for me to get bored of it all so I love switching things up a little and experiment with what I already have than to buy something else. Add a squirt of illuminator to your foundation and you’ll get a gorgeous slow, foundation plus blush equals cheek and lip tint, a dab of Vaseline to your bronzer and you’ve got a gel-like bronzer, mix an eye pigment with some water to create eyeliner and you can create a cream shadow with a hint of lotion. Daniel Sandler was a genius when he created his infamous Watercolour Blush. I’d never used a liquid blush before and I was quite sceptical to use one for fear of it just looking wrong once applied but, I was proven wrong and now I consider liquid blush and I the best of friends! Powder blush can look too aging on a person, can highlight dry skin and is just downright boring at times whereas liquid and cream blushes make it seem like you’re glowing within and they’re the perfect texture for all you ladies with dry skin. To mix up my own liquid blush I’ll squeeze a pea sized amount of moisturiser that’s not too thick and creamy as it’ll be quite hard to spread and blend otherwise. Once you’ve mixed the lotion and blush together, you’ve got yourself a very pigmented blush and it’ll set so it won’t budge for ages. When my beloved MAC Bronzing Powder crumbled to pieces on my holiday in Egypt, I was in the middle of Cairo without a clue of the nearest MAC so I just improvised and created myself a gel bronzer with the help of some Vaseline and the rest is history. Depending on how dark you want to go, add less or more of the bronzer. For general reference, it should always be two parts Vaseline to one part bronzer. For added shimmer if your bronzer isn’t already shimmery, add a liquid illuminator like NARS’ Laguna and you’ll be glowing like you’ve spent two weeks in Barbados instead of grey old Britain! ~ Mixing together a little moisturiser, primer and foundation for a long lasting, matte/dewy (this’ll depend on the primer you’re using) for tinted moisturiser. ~ To get a great gel liner, Vaseline and black eyeshadow will do the trick. 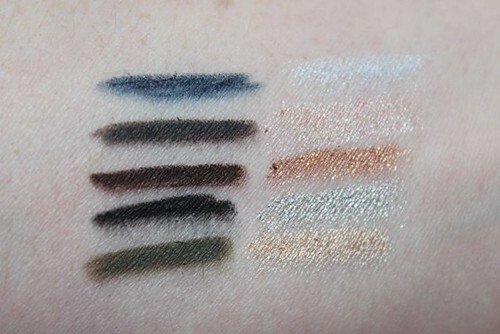 ~ Go crazy with spring’s colourful eyes trend and swirl together the brightest eyeshadow you have with the tiniest amount of water to make the shadows pop. I love this trick because it leaves the shadow super easy to blend, so this one is ideal for beginners. ~ For a nod to the S/S 2012 marine trend, mix gold glitter into loose silver eyeshadow and swoop across your lids for a gorgeous iridescent finish. ~ Lipbalms on top of lipsticks, and lipsticks on top of lipbalms! Or you could go arts and crafts by melting down a lip moisturiser with a little lipstick for your own homemade tinted lipbalm. 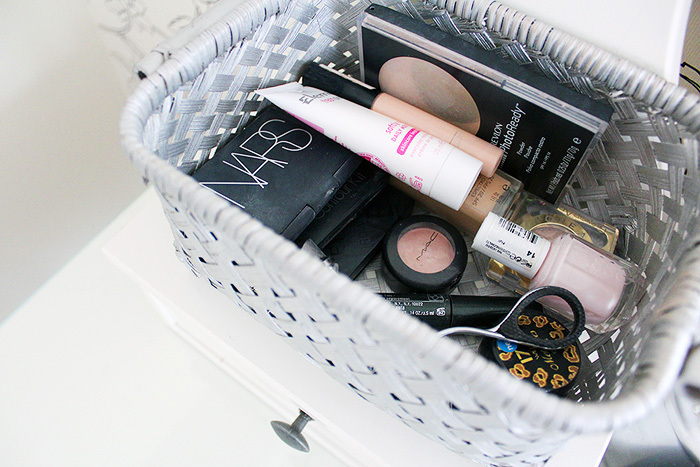 So girls, have fun with the contents of your cosmetics bag by playing with textures to get the most from your make up.